"black friday" - Blog @ That Awesome Shirt! Five Finger Tees: 10% OFF SALE ON NOW! Ridiculously Awesome Tees Starting At $9.99! Just realised this is the exact same coupon (and promo image) from last year! Stock your cart with our favourites or check out fivefingertees.com. Ends 26th of November, 2017. No code needed - applies automatically at checkout. Hurry, offer ends at 11:59EST TONIGHT! 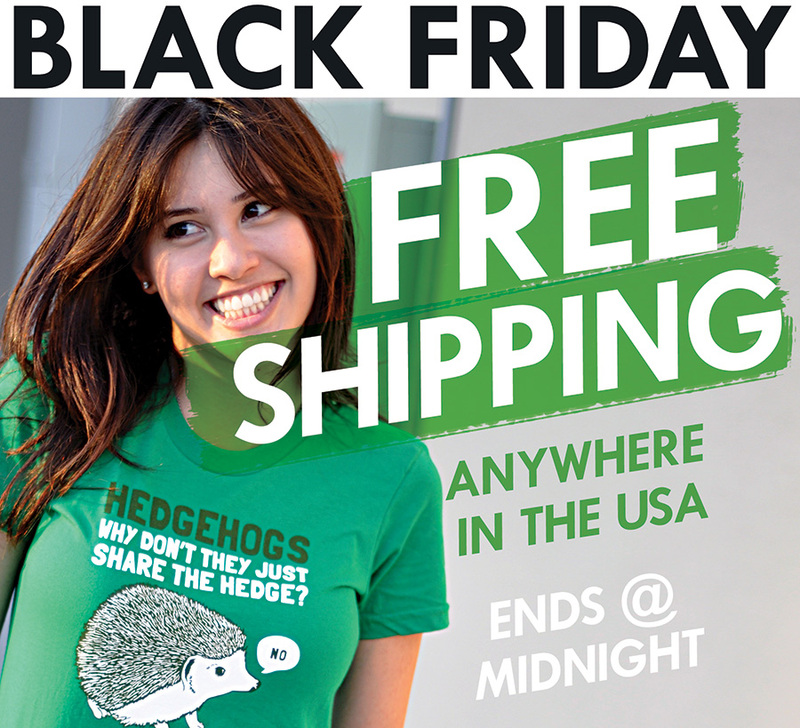 Snorg Tees: Black Friday - shipping's on us! It's Black Friday, so to help you stay home and avoid being trampled, we're offering you FREE shipping anywhere in the US of A, because 'merica! New products. More clearance. 20% off everything (including sale items). Free shipping on U.S. orders $25+. Treat yourself. Get gifts for others. Whatever you do, don't miss out! Stock your cart with our favourites or check out wickedclothes.com. We're having a super neat Black Friday sale over at the NeatoShop. For just 24 hours, get up to 20% off all T-shirts. 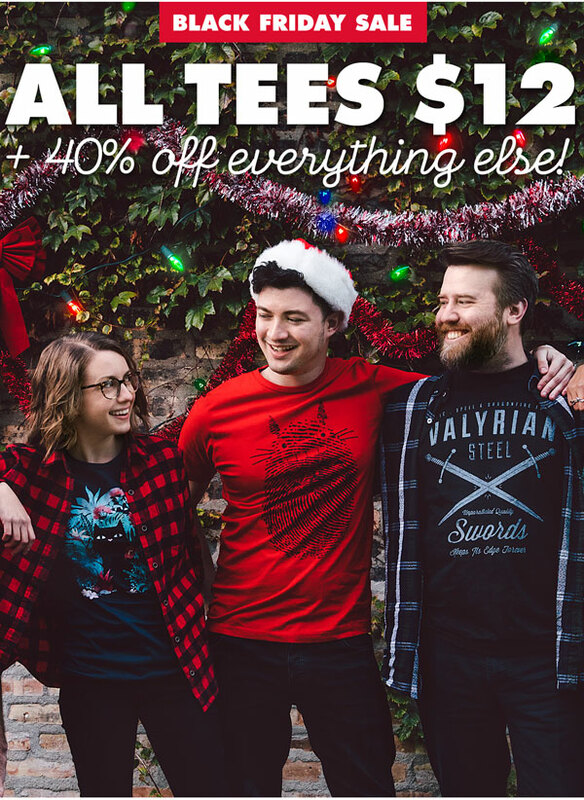 Get $10 off non-daily aooare at RIPT Apparel! Sale ends 27th of November, 2017. Zazzle: Black Friday has landed - Up to 60% OFF! Up to 60% OFF! Black Friday has landed – Ends Tonight! Our Best Ever Black Friday Deals are here!